I have a confession to make. Last week I bought a $35 guitar pick. Yes, that’s right … a guitar pick. I don’t think I have ever paid more than 35 cents for a guitar pick in the past. In fact most guitar picks, I get for free. How did this happen? Why would I spend $35 on a guitar pick? I have no other way to explain this except to say that it was peer pressure, pure and simple. Here’s how it happened: I walked up to a booth in the exhibit hall of the IBMA (International Bluegrass Music Association) last week in Nashville. 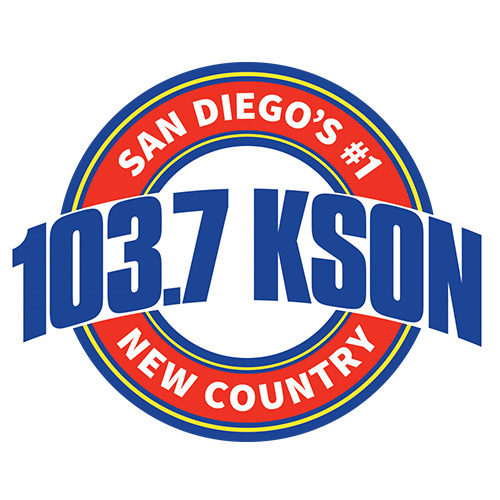 The booth was “Blue Chip Picks,” a company based in Knoxville, Tennessee which makes picks primarily for professional guitar and mandolin players. Several bluegrass “stars” endorse Blue Chip picks and probably get them for free in exchange for their endorsements. I have wondered for some time what all the fuss was about. So I’m at the Blue Chip booth and ask the obvious question. So how much do these picks cost? “Well, the one you’re holding there is $35.00.” I quickly put the pick down. Wow. I had no idea a pick could cost that much. Of course the man behind the table went on to explain to me all the desirable qualities of a guitar pick, how they are shaped, what kind of material they are made of, and how these picks never wear out but if they do, they can be returned for a new one. My problem of course is that my picks never have a chance to wear out. I lose them right away. They magically disappear after each use. Or somebody borrows my pick and that’s the last I see of it. So I’m standing there watching other musicians casually laying down some serious money for these picks. “I’ll take three,” says one. I do the math in my head: that’s $105 for three guitar picks. Holy smokes. “You can’t beat these picks,” says Bull Harmon, a flat-pick guitar champion from Missouri. “Just like a tortoise shell pick.” Of course, I’ve never played guitar with a tortoise shell pick, since they are illegal and also very expensive if you know where to get one illegally. I’m not sure what makes a tortoise shell pick so much better than a plastic pick. I’ve actually made guitar picks out of old credit cards. Several other musicians are there at the booth just raving about these picks. Before long, I’m starting to want one. I try out a couple of thicknesses. They even have picks that have been shaped a certain way depending on whether or not you are left- or right-handed. I finally settle on the TD-40 (which sounds pretty impressive for a pick — it’s pictured above). I hand the man behind the table my credit card and say, “I’ll try this one out and if I like it, I’ll order more.” I think I said that to make him believe that I did this all the time, and that $35 really didn’t seem all that outrageous to me. I get my receipt along with the pick, which is in a little plastic zip lock bag. It doesn’t come in a fancy case or anything. Just a guitar pick in a plastic bag. I put it in my pocket, hoping I won’t lose it before I get out of the building. On the way out of the IBMA exhibit hall I stopped at the Martin Guitar booth. They had free guitar picks on the table. “Take all you want,” the man said. But not to be greedy, I took two and put them in my pocket, right next to my $35 guitar pick. As I was walking back to my hotel room a few blocks from the Nashville convention center, I suddenly came to the realization that I had just spent $35 for a bleeping guitar pick! What in the world made me do that? All I can say is that it is the exact same kind of peer pressure that we warn our kids and grandkids about. While I was standing in that booth, with all those other musicians encouraging me to “try it, you’ll like it,” I did. I couldn’t just walk away. When I got home, it took me two full days to confess to my wife what I had done. She wasn’t too upset as she admitted that she had been a little extravagant herself while I was away and bought a new purse. 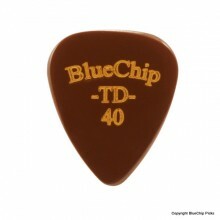 So, next time you hear me playing my guitar, I know you’ll be impressed because I will be using a $35 Blue Chip TD-40 pick. If I don’t lose it first. This entry was posted in Bluegrass, Ministry and tagged Blue Chip Picks, IBMA, peer pressure. Bookmark the permalink. Just wondering…why is the Blue Chip brown?